This active Alaska tour is designed for those short on time who want to see all the main Alaska highlights while still getting their blood-pumping. 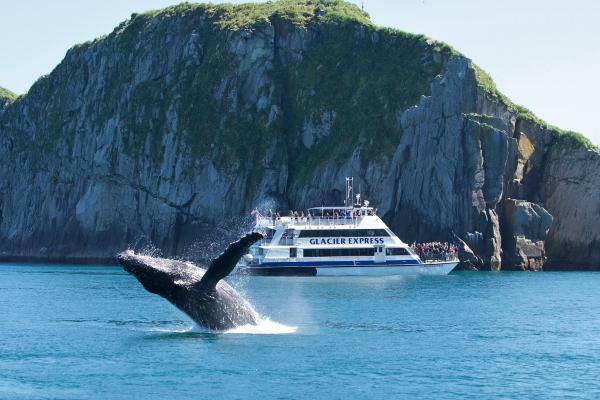 This Alaska trip includes 'must-sees' such as a full day cruise in the Kenai Fjords National Park and a flight-see tour around Mt. McKinley complete with a landing on Ruth Glacier. 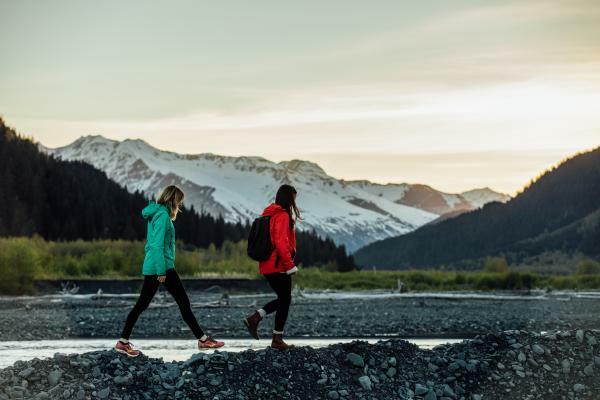 Get out on a moderately strenuous guided hike in Denali National Park and tackle some Class III rapids on the Nenana River. The trip takes advantage of the Alaska Railway system to move you quickly through the countryside starting in Anchorage and ending in Fairbanks. Learn about the Gold Rush era and take part in an authentic Sternwheeler cruise to finish up your week of adventure. Opt to add more time and explore Anchorage or go deeper into Denali National Park. Hit the Class III Whitewater Rapids of the Nenana River near Denali Park. 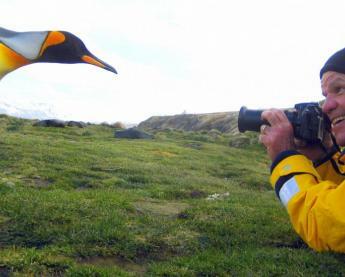 Enjoy a flightseeing tour around Mt. McKinley and walk on Ruth Glacier. Arrive in Anchorage and settle into your downtown hotel this evening. If time allows, explore the city a bit tonight. Add a free day in Anchorage to include a heritage tour or other guided city tour to explore the area. Rest up before the first full day of your Alaska Adventure. Catch the train south to Seward this morning. This small fishing village is predominantly a fishery port and convenient location for tourists to access the Kenai Fjords National Park and railway. Settle into your lodge for the next two nights, the Seward Windsong Lodge. Next, set out for an afternoon dogsled adventure tour! 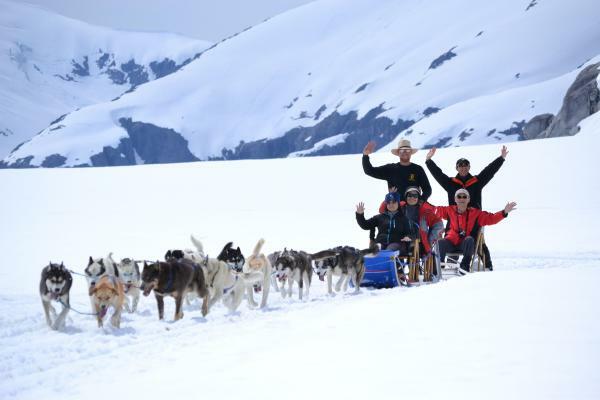 Take a two-mile dog sled ride and experience the power and energy of the sled dogs as they are harnessed to wheeled sleds. Return to the kennel and meet the other dogs, including any adorable and cuddly husky puppies. Return to the Seward Windsong Lodge to spend the rest of your evening relaxing or go out for independent exploration Seward. 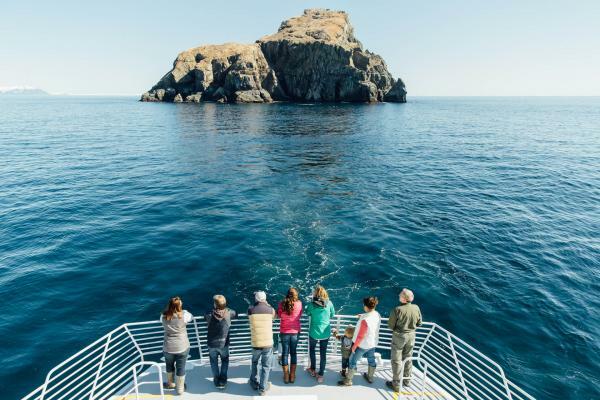 Departing from Seward in the afternoon, embark on a catamaran cruise, gliding through Resurrection Bay past abundant wildlife. 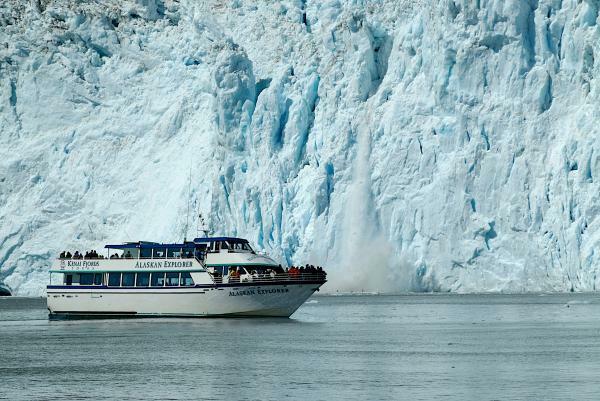 Then, with the vessel's experienced captain, explore deeper into Kenai Fjords National Park where you can see the park’s glaciers up-close. After a delicious dinner served onboard, return to your lodging in Seward. 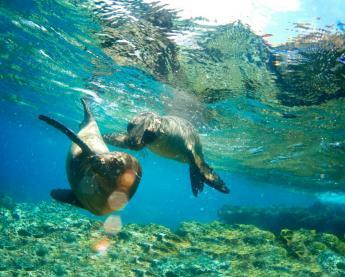 Today is free for you to arrange additional, independent excursions. Many adventure options are offered in Seward, such as hiking, kayaking, and glacier visits. Opt to stay in Seward to wander the streets of this small town or just enjoy the peaceful scenery at the lodge. Board the train this evening to return to Anchorage and settle in before your early morning train north. Travel north on the train today arriving at Talkeetna, the historic stop which marks mid-way to Denali. Settle into your lodge before setting out on an afternoon guided flight-seeing tour of Denali National Park. Fly completely around Mt. McKinley, spotting its various features such as the Kahiltna Glacier, the west buttress, Sheldon Amphitheater, Ruth Glacier and the Great Gorge. Then, fly across the divide to spot Denali's Wickersham Wall, a 14,000 foot continuous 'wall' of rock and ice. Next land on the gentle slope of Ruth Glacier for an opportunity to view and photograph the peaks surrounding you. Return to Talkeetna Lodge this evening. 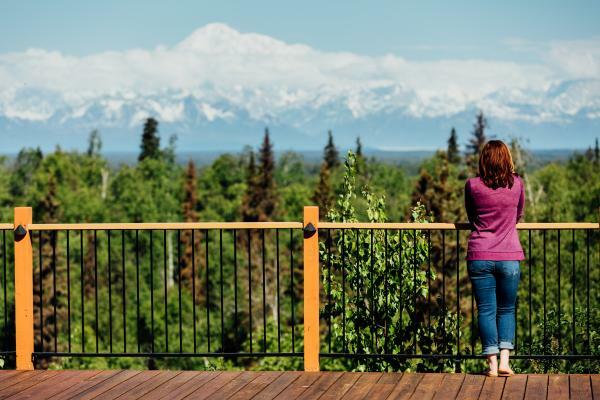 Enjoy a leisurely morning before traveling by train further north to the Denali National Park Entrance. 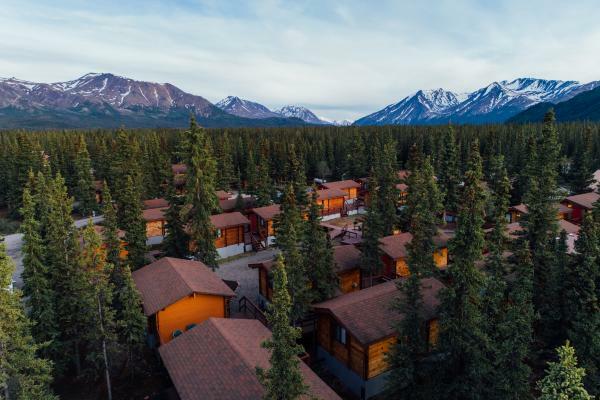 Check into your small cedar cabin accommodations at Denali Cabins and rest up before an early evening hike to explore the area. The moderately strenuous hike winds through a spruce and birch forest typical of lower elevations in Denali National Park. Keep your eyes peeled for the possible moose or other forest animal sighting! 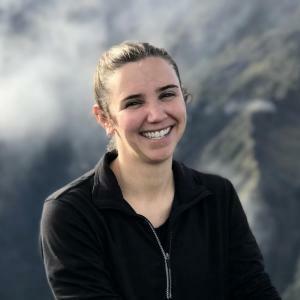 Your guide shares valuable insight about the Denali National Park habitat and is eager to answer any questions throughout the hike. Return to the Denali Cabins. 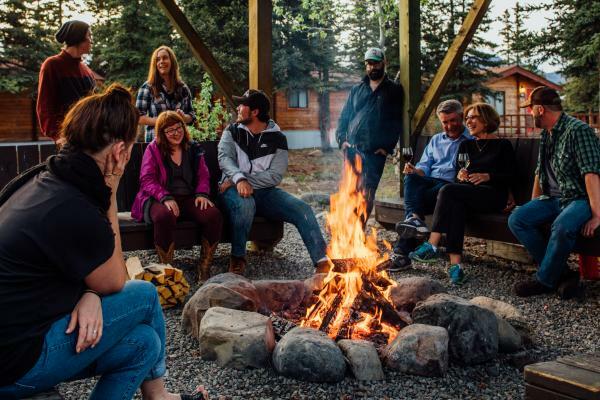 You can opt to upgrade your experience for the next 2-3 nights with an upgraded stay at the Denali Backcountry Lodge. This is a remote wilderness Alaska lodge located at the end of the famous road that travels deep inside the park. Today it is time for some river adventures! Set out towards Healy to get on the water for a thrilling 11-mile whitewater raft down the Nenana River! This is the best rafting for those seeking a thrill, with Class III rapids and one Class IV rapid. Be prepared to get wet, as you get into real whitewater rafting through exciting rapids such as "Cable Car", "Coffee Grinder", and "Ice Worm". Return to your cabins this afternoon to warm up. Opt to explore on your own this afternoon or book another excursion for your time. Today is free for you to continue exploring the area before your late afternoon train departure. You may choose to book a guided excursion in advance for this day, or just leave it open to explore independently. The train will take you to Fairbanks this evening where you check into Pike's Waterfront Lodgel for the night. Today, you will be picked up from your hotel for your sightseeing tour to see the highlights of Fairbanks. During the tour, you will visit the Morris Thompson Cultural Center where you will find great exhibits about Interior Alaska. Then stop at the Trans Alaska Pipeline where your guide will explain the astonishing engineering of the pipeline, the oil field in Prudhoe Bay, and the Alaska oil industry. From there, continue to the Museum of the North with its dramatic architecture and new exhibit galleries (closed on Sundays in September; then tour will go to the Antique Auto Museum instead). And finally, you will visit Santa Claus at his home in North Pole, and buy some Alaska souvenirs and Christmas decorations. This afternoon, an optional Sternwheeler Riverboat Tour can be arranged for an additional cost. Make your way to the airport for your flight home or to continue your Alaska travels independently. 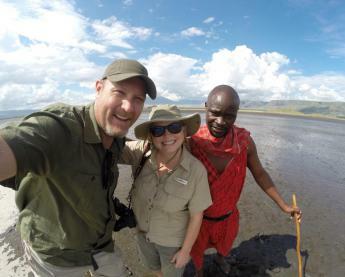 Flight-seeing tours, bear viewing, or fly-fishing excursions will require additional budgeting. Final payment is due 70 days prior to departure by bank transfer, check, or credit card. Final payment by credit card may be subject to 3% convenience fee and a maximum $20,000 charge.